Hello Readers – for Norm’s Thursday Doors this week (here) I have some doors surrounded by old bricks (all from Richmond, VA). Maybe a stately feel here- the recessed door – and then spikes on the left fence vs. the flat stones on the right….? This photo reminded me of Linkin Park’s song, In the End (here) – because the lady seems to be high a bit elevated – she is “in the air” – if you look closely you might see her feet are off the ground. When I downloaded and looked at this photo – weeks after I took it – it was right around the time Chester Bennington died (suicide here). I grieved with the many fans and then soaked up the social media circle of remembrance and suicide prevention plugs that emerged (like Twitter’s Lifeline (@800273TALK) and then listened (on and off) to the many Linkin Park songs that played). I only know a few Linkin Park songs, but whew – a couple of them are masterpieces. When my youngest son was little – like 7 – he made us all sit down while he sang and jammed to “In the end” – bah! It was so cute and we still remember him singing/jamming it. However, a little later that day, frustration ensued when we corrected him on his words. You see, he was singing “in the air” and we told him it was “in the end…” – but he was not hearing us. 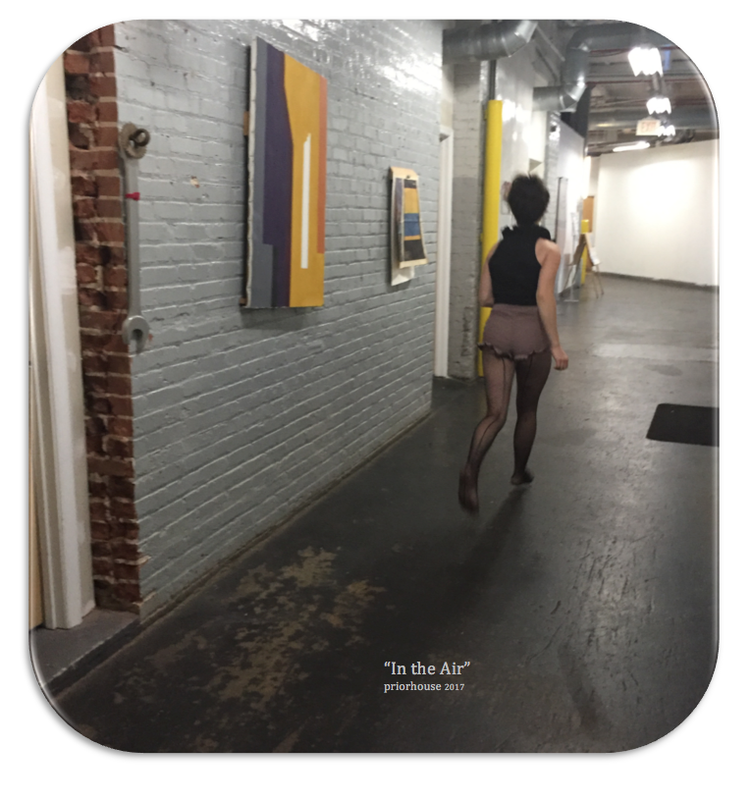 He was stubborn by insisting it was “in the air, it doesn’t even matter” – and we tried to reason with him. Maybe it ruined the jammin’ – or the meaning (even though at any age we sometimes don’t even pay attention to the meaning of every lyric and so at that age age just enjoyed the beat and singing). Anyhow, as the 2000’s moved on here at the Priorhouse – a few Linkin’ Park songs would make it to some CD’s – and those CD’s would linger in the cars as we all moved to digitally streaming music (where CDs became obsolete). my back seat is empty most of the time as older children do their thing. But the memories are fresh and alive. The essence of those many “years together” remains with me and in me (til’ the end – and it does matter) – so through photos, through warm recollections that fill the soul, and through hit songs that were integrated into our lives – I make the most of the next phase life brings my way. RIP Chester, and to those of you reading – try to enjoy the day for what it has. Remember – that YOU are needed – by many! Ok- let’s part ways on a lighter note…. Have a great day and see you tomorrow with a FRIDAY FOOD post…. Thanks to Christy B for sharing about how the World Health Organization (WHO) has deemed September 10th to be annual World Suicide Prevention Day. The WHO sponsors this event with the International Association for Suicide Prevention. Great doors and a solid story to go wit them. That’s a good cause to support. Thanks! Such a tragic ending, Yvette. Our house rocked to their tunes too. 🙂 🙂 Hoping you’ve had a good Summer. So very interesting pictures here, especially that last one. I am looking forward to your food post tomorrow. Pretty heavy text for a little boy (when he was little). This is what happens when our kids grow up, we are left with the memories! Although the “kids” have ’em too. One of the things of the Renaissance I like are the Grecian pillars (but the horizontal focus not so much). I’ll alert you when I post that 10 x 17 feet piece, but not yet, because the canvas is filled, but it doesn’t mean that it’s done. Right now am taking a break by painting some small plein airs, so I have a new fresh look on it to finish. Well I don’t think he was paying attention to deeper meanings in the song – even adults half get it – they just liked the rock and the rhyme “one thing—/ and I don’t know why…” etc. and even now my spouse and I chat about songs we sang in our early 20s not really paying attention or noticing lyrics – like a song came on Spotify and we were laughing – and I guess it is another reason to watch then music we are exposed to (or immersed in) – I actually have a story to share about the band Ratt- but perhaps another time. True, most only listen to the melody or the beat. Maybe I’m more aware of it, because my two youngest had the biggest discussions (in their teens) on whether a song was good or not (according to their beliefs what a song should be). oh know – it is fun to remember all of these little things. So sad about Chester. I was shocked. 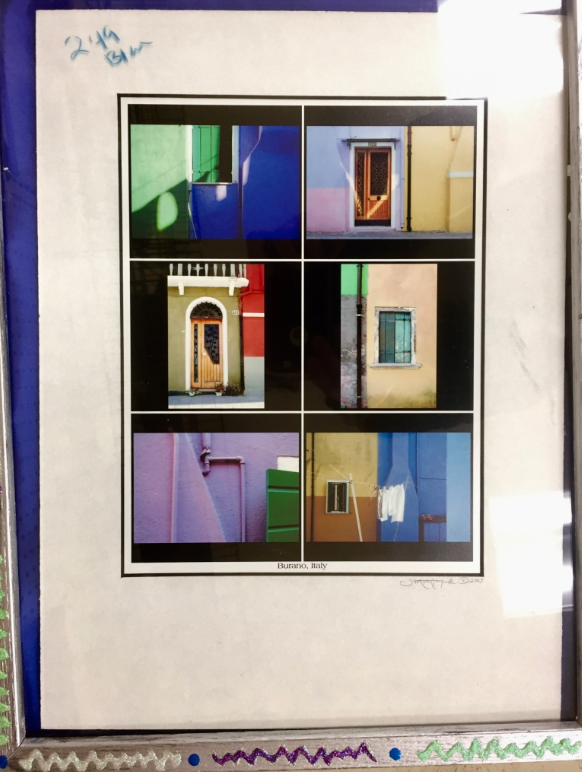 I like the house/door/window in the 3rd picture down from the top. That metal frame is a piece of art! I am not a fan or hear much of Linkin Park but I like this lyrics. It is very nice of you trying to help prevent suicide. It is sad to hear anyone ends that way. Oh I agree – suicide is rough – and I guess this musician chose the date of his bf’s bday and took his life the year before (something like that) but ugh! And after your comment on that trim (gingerbread) well I realize how well kept up that home is. I believe it is part of the historic district …. The suicide prevention links. Encouraging post! I am always saddened by deaths of creative young people and only wish they were wired differently. My son and one brother say they sometimes live minute to minute. Both have ended up in the hospital due to a suicide attempt (or two.) Sadly, we must defend, care and love them more fiercely after these famous people choose to leave us. My brother said when Robin Williams died, he nearly lost it. He repeated this sentence, “If Robin freaking Williams cannot be happy with his family and all he has, how can I hope to be happy? !” I just listen and hug, saying to almost anyone I can: “You are more special than you realize.” Great subject, cause and well done! and my thoughts are swirling on the topic because it is so darn layered. and i could feel the warmth emitted in your hug and edifying words. Aww, thank you for sensing the love I try to reach out and connect to not only my family members with. . . You never know if you may be the last face someone is seeing before they leave this earth. Sadly, each of my children has known a teen or twenty-something year old who chose to commit suicide. I babysat a loner, who walked out of the high school a few years after we had been connected, crossed the football field and jumped into the path of a moving train. I wrote his ten year tribute/memorial on my blog. Yvette, his parents were a nurse and a professor who had taken him to counseling and loved him. My son went camping with them for a few years. No real problems, on the surface. No bickering; which my son thought it was a nice, fun family to hang out with. “RECOGNIZE AND CONQUER YOUR CRITICAL SELF ATTACKS. Beautiful post, my friend! And I am thankful for the update you made to it in honor of World Suicide Prevention Day. Hugs and love ❤ You are helping spread the message! let’s all join in as we are able…. Love bricks, of course I am a Virginia girl by birth and heart. 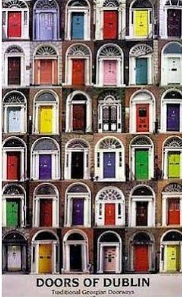 There is a great poster called Doors of Dublin and all the great examples. Check it out ! and just checked the dublin doors and it wonderful. thanks for taking the time to chime in author Di! and thanks for the point aboit how people want to think suicide doesn’t exist.